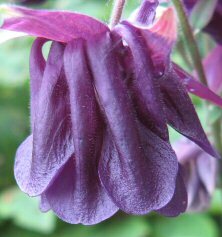 NOTE the Aquilegia collections are dead from downy mildew, see below. THERE ARE NO MORE PLANTS LEFT TO SELL. TOUCHWOOD IS NO LONGER TRADING. I AM LEAVING THE PLANT PAGE ACTIVE so past customers can see what they bought. I promise to lift, bare-root, and pack everything one afternoon, and post them first class so that you should receive it the next morning. You must promise to pot up that morning…and let me know any days you WON'T be available to receive the postal packet. Is there anywhere in particular the postman should leave the parcel if you're not there? With less than 24 hours out of their pots, the plants shouldn't even feel it! Everything comes either from my cold (unheated) greenhouse, or outside. Very occasionally I may need to substitute plants if what you ordered isn't found on the day(!). I will phone you if you give your telephone number, and you are in, otherwise I reserve the right to send what I consider to be suitable substitutes (rather than the rest of your order being delayed in its bare-rooted state). 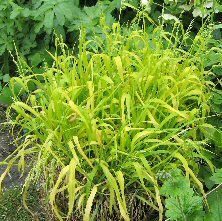 What can be easier, buy plants online, and for cheap plants that easily settle in your garden, bare-rooted is best. Each year I germinate 100s of different types of seeds, but only grow on about 6-12 of each type, and so often have spare seedlings, usually April-June. These are SMALL seedlings, sometimes only at seed-leaf-stage…so no true leaves yet. If such small seedlings are beyond your dexterity to handle…then go for the larger sized ones. That way you won't be disappointed, and the seedlings will survive! Please note, that as these are just 'spare' seedlings, I may only have a few for sale. 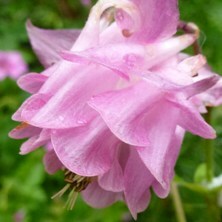 With Aquilegias IT'S MY CHOICE on what to send…it just depends what I happen to have spare at the time! Though you can ask for, eg 'singles', 'doubles', 'bicolours', stellatas' etc. It is best to contact me by phone or email to check and reserve your order. Seedlings are named as what I receive it as…thus I cannot guarantee that plant names are exactly correct. 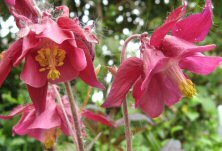 NOTE, I am no longer selling any aquilegia plants as there is downy mildew here at Touchwood. Each 'lot' is usually about 8-10 seedlings. Special seedlings, eg from red and yellow doubles will only have about 5 to a 'lot'. THERE MAY BE SOME CROSS-POLLINATED ONES, ABOUT 3 OR 4 TO A 'LOT'. I may also have larger seedlings with 2 or 3 true leaves, which are about 5 -6 to a 'lot', depending on size. 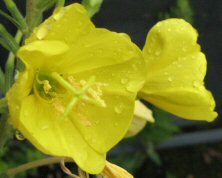 Prices: All seedlings cost £2.50 for a 'lot', sent bare-rooted and £4 1st class postage for however many 'lots' of these seedlings you buy. Minimum order 4 lots, most people go for 10, 15 or 20 lots and really save on postage costs! 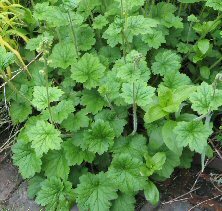 I will have many types of aquilegias, also other plants… do email and ask what's in. TESTIMONIALS: Seedlings arrived this morning, all are potted up and ready to rock! (well next year). Excellently packaged! Cant believe the amount and variety best £20 I've spent in ages! Many thanks Martin Davies, Stoke-on-Trent Many thanks for your prompt attention, the seeds and seedlings arrived about midday on Friday and are now in pots. Really fast delivery, Thursday afternoon posted in Wales and next day delivered to North of Scotland. 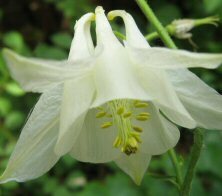 Many thanks, Jean E.
Aquilegias Hi Carrie - Just to let you know along with all the other testimonials you appear to have received I would like to add mine. I am delighted with the plants I have purchased from you and following your instructions they are all growing away really well. It doesn't take a minute to let someone know how pleased you are and you readily deserve it! Please add me to your mailing list. Mrs. Doreen Newton, Hampshire. Smallish, usually self-sown seedling, unlikely to flower this year, pot luck! 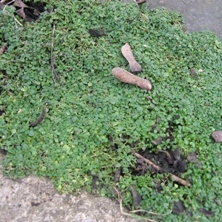 Decorative ground cover. Do excuse the photo, I always forget to snap this plant when it's looking good. These are the resting, over-wintering buds, but hopefully they give you some idea. Lady's Mantle. 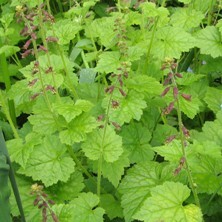 Beautiful foliage that catches the rain, chartreuse foamy flowers, great for flower arranging. Very quick delivery and thoughtfully packaged. Thank you. 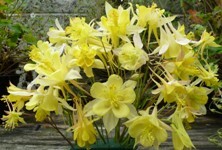 Great in flower arrangements and dries naturally to last for years. 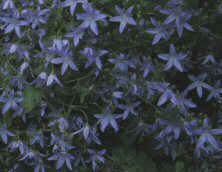 Unpronouncable yet indispensable bellfower, covered in purpley-blue starry flowers for months. 10-20cms and spreading. I'm writing this a week before Christmas….and still enjoying some flowers around my doorstep! Double form greater celandine, no relation to the small (lesser) celandine. 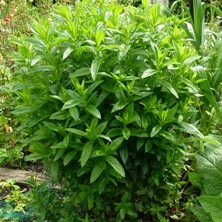 A great mound of good foliage, (about 50-70cms high and wide) with bright flowers over a long period in summer. 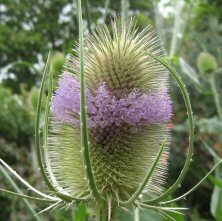 Teasel … these are smaller plants, but likely to flower this year. Big plants will tower above you! The flowers look good also in bud stage (left) and also as the brown seedpod stage which you can dry for flower arrangements or leave for the goldfinches and as winter decoration in your garden. SUPER FAST DELIVERY & TOP QUALITY GOODS, WHAT MORE COULD YOU WANT! Masses of yellow-centred daisy flowers in summer. Self-sown seedlings, so pot luck colours! Excellent service, plants arrived next day and well packaged. Like a huge herb Robert! 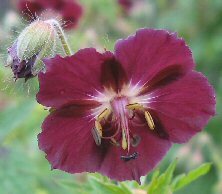 Or a petite Geranium canariense/ maderense type. Another lovely healthy looking plant. Thank you. Hardy. Delicate colours and tracery on each flower. 10-15' tall plants, yes! With yellow daisy flowers. Cook by boiling, or steaming. For an even better treat, roast about 45 minutes. Nigel Slater in 'The Garden' magazine suggested roasting in butter with the addition of thyme or a bay leaf, adding that they are also good in salads or as soups. My favourite way: artichoke crisps! Rampant but beautifully silvered leaves. Yellow flowers. Rapidly clumps up. 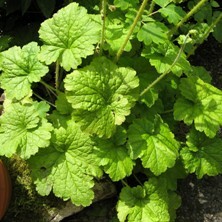 Wondrous lemon flavour, my favourite tea is lemon balm tea, take 2-3 top sprigs in a mug, pour over boiling water and drink hot or cold. 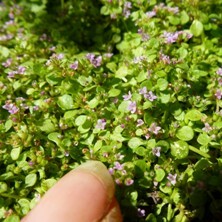 Tiny, tiny creeping mint, wondrous scent! Good form of spearmint for your lamb! Good colour and good scent. 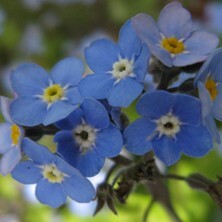 Would spring be spring without the Forget-me-not? Beautiful-eyed clearest heavenly blue flowers over several weeks. 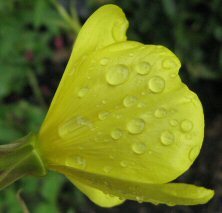 These will return year after year to your garden if you let them gently self sow. How about that… a perennial biennial! The plants I had last year are all doing well, in spite of my neglect! When the border has matured I will send you photos so you can judge how well the novice has done with the expert's plants! Fantastic chevron-marked purple foliage. Not totally hardy, always gets cut back with late frosts, even here…but still keeps coming. 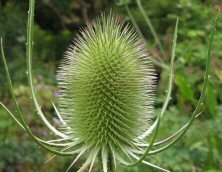 You will receive 3 very small shoots…which will make a decent statement during the first year, and clump up well. Please don't order too early unless you can protect the small plants…March or April will do. Note, counted by shoot not root…some roots have more than 1 shoot! Testimonial: PS: Last years plants are doing very well, especially the Phuopsis, haven't come across it from anywhere else…my little grandson loves saying it too! Obedient plant… because the individual flowers stay where you put them! My star buy in 2008, one plant took over a whole container, cascading all around… everything else died from slugs or the weather! Too good to loose, I then brought it into the house for the winter! 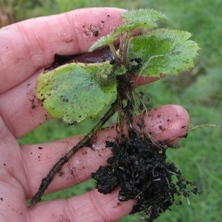 This is 2 unrooted, small, cuttings… be prepared to mollycoddle them until ready to plant out. Proving hardier that I thought, but I'll wait until all the frosts are over before taking back outside. 2009, a customer sent a photograph to show me the cuttings that he'd had from me, looking incredible early summer! 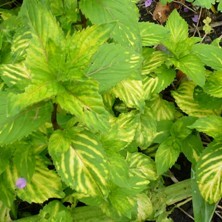 Prettily marked velvety leaves in spring. Little bell flowers in August-September. Don't let it flop over other plants! I prop mine against a wall or fence. Well marked foliage, pretty pink flowers, until cut down by frosts (November here). 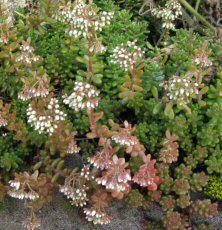 This is a brilliant ground cover plant, rapidly covering the allotted area (and then some more! ), However, it dies back underground during the winter. You will receive several shoots…which will clump up. The lower left photo shows it colouring up well in the autumn. 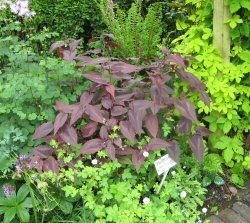 Persicaria nepalensis is grown mainly for its handsome foliage. Well marked leaves form an attractive bank of foliage to about a foot high. Here's what my friend Leslie has done with it to great effect… as an underplanting in a tub! 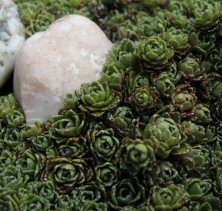 Great encrusted saxifrage, small tight rosettes. Big brother of the above, larger and so more rapidly growing. 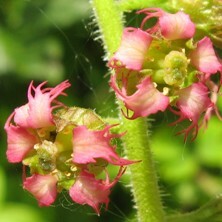 Occasionally tall flowering stems with red-splashed white flowers. Fleshy jelly-bean leaves and white flowers on this happy alpine. Reddy small rosettes, more strongly coloured in winter. Fleshy leaves, yellow flower, Creeps and roots controllably! 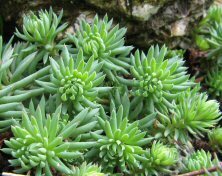 Houseleek. Or, one old name for it is: 'Welcome home husband however drunk you be' Hmmmmm! I have several sorts, but you'll get pot luck really, though you could ask for, eg, smaller sort, green sort, red sort or cobweb sort…and if you're very lucky I might be able to comply! Photo taken in November. Grow it on your roof…to protect your house from lightening. Wonder if the insurance company will allow a discount….like for burglar alarms? Do let me know! though I hear we should call it Hesperantha coccinea now. Piggy-back plant… so called as tiny new plants grow on the leaves! Also used as a houseplant. Small strange flowers on medium height stems… strangely d'Arth Vader-like to my way of thinking! You will get 2 of these small plantlets when you buy my piggy-back plants. although it also grows in sun. I just thought I'd drop you a line and express my sincere thanks for your time, courtesy and great products! I received them today, excellently wrapped, obviously taken good care of at 'your end' and they arrived in superb condition. Fringecups. Scented, I liken it to the perfume of azaleas. 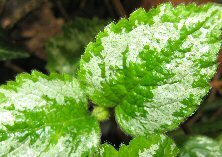 Great ground cover in shade, also grows in sun. First class all the way Have bought from you before, will buy from you again. Excellent packing, good strong plants, recommended to all. Evergreen in green and cream. Evergreen in green and yellow. I was amazed the first time I saw the HUGE cloves that elephant garlic produces. Yes, those are 3 SINGLE CLOVES on my hand, not whole bulbs containing many cloves! It grows like ordinary garlic, except that I leave mine in the ground all year round. Also….they produce flowers! 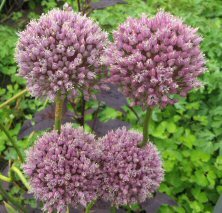 Typical, ornamental onion flower-heads, that are also tasty in their own right….harvest only a few of the florets to add to eg egg mayonnaise or stir fries. Only a few, as they are strongly flavoured. 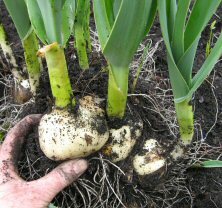 You are buying 2 or 3 smaller bulbs, likely to be in active growth: roots & leaf. Mouse plant. 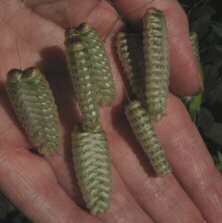 Mouse-like flowers, complete with tails!. 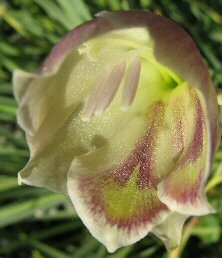 'Bulb', flowers in spring. Hardy, easy. 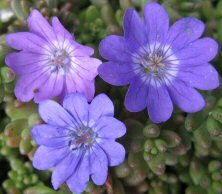 Unpronuncable yet indispensable bellfower, covered in purpley-blue starry flowers for months. 10-20cms and spreading. I'm writing this a week before Christmas…and still enjoying some flowers around my doorstep! 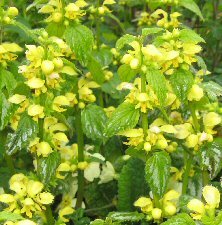 Double form greater celandine, a great mound of good foliage, with bright flowers over a long period in summer. Hemp agrimony. 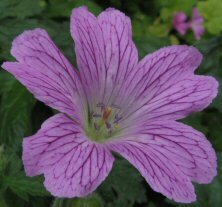 5' hardy perennial with flattish topped light pink flowers, loved by butterflies. un-named, in variety, pot luck! Mourning widow. 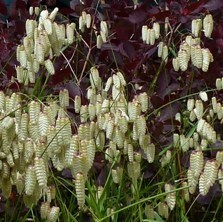 Very early, dusky flowers held well above foliage. Long season, bees will thank you! ask for 'the one by 428'! Lighter flowers, possibly is 'Lily Lovell', but I think that's darker. Like a huge herb Robert! 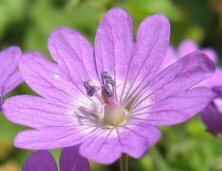 Or petite Geranium maderense/canariense type. Very good cultivar for large edible roots 10-15' tall plants, yes! With yellow daisy flowers. Cook by boiling, or steaming. For an even better treat, roast about 45 minutes. Nigel Slater in 'The Garden'magasine suggested roasting in butter with the addition of thyme or a bay leaf, adding that they are also good in salads or as soups . My favourite way: artichoke crisps! Golden wood-rush. Photo taken in winter. Dark purple dramatic foliage, sprays of yellow flowers. A showstopper. spreads. Lysimachia punctata x6 Plant the long white 'roots horizontally a little below the soil surface, with any buds facing upwards and leaves (if present) above surface. Yellow Loosestrife. Super cottage garden perennial. 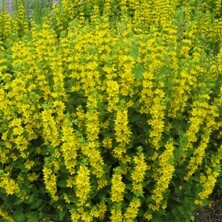 Very quickly forms a large mat with yellow flowers over a long period in summer. Yes, an enthusiastic spreader! Rapidly spreads! Very lovely, well marked orange flowers. 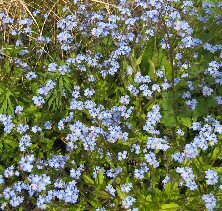 Would spring be spring without the forget-me-not? Beautiful-eyed clearest heavenly blue flowers over several weeks. 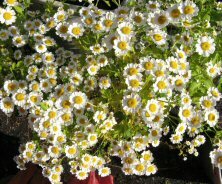 These will return year after year to your garden if you let them gently self sow. 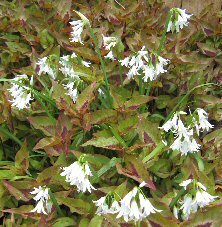 My star buy in 2008, one plant took over a whole container, cascading all around…everything else died from slugs or the weather! Too good to lose, I then brought it into the house for the winter! These are 4 unrooted, small, cuttings… be prepared to mollycoddle them until ready to plant out. Proving hardier that I thought, but I'll wait until all the frosts are over before taking back outside. Well marked foliage, pretty pink flowers, until cut down by frosts (November here). 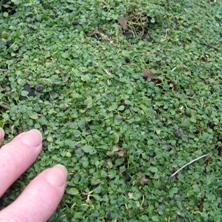 This is a brilliant ground cover plant, rapidly covering the allotted area (and then some more!) However, it dies back underground during the winter. You will receive several shoots…which will clump up. 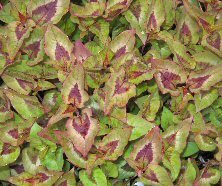 Persicaria nepalensis is grown mainly for its handsome foliage. 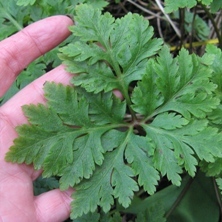 Well marked leaves form an attractive bank of foliage to about a foot high. Here's what my friend Leslie has done with it to great effect…underplanted in a tub! 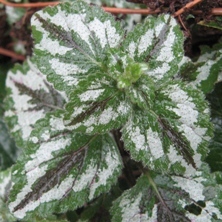 Fantastic chevron-marked purple foliage. Not totally hardy, always gets cut back with late frosts, even here…but still keeps coming. 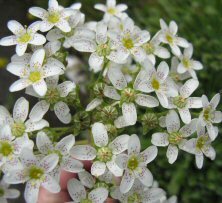 You will receive 7 very small shoots…which will make a decent statement during the first year, and clump up well. Please don't order too early unless you can protect the small plants…March or April will do. Kaffir lily, at least 3 that will be flowering size. Lovely large leaves on canes to about 5' high. The best bits for me are the sticky buds…they carry an aromatic resin…a woody and rosey fragrance…heavenly, must go back for more! The delicately beautiful horned violet. 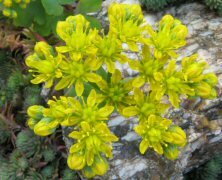 This splendid and robust perennial, flowers near ground level in the open, or will scramble to 30-40cms high in the perennial border. A purple-blue colour. 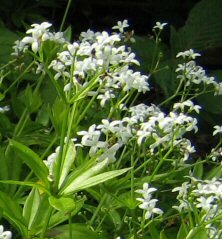 Highly desirable, this is the white form of the horned violet. All forms of the horned violet are particularly floriferous and should give colour over six months. Position them where you can have all their faces looking towards the sun, ...and you! These are so big and heavy, please ring to find out postage cost. Mirabilis jalapa… not quite hardy treat as dahlia tubers. Enormous roots of Mirabilis jalapa … not quite hardy treat as dahlia tubers. Red or white, pot luck. Fantastic scent in the evening, if they could bottle it they'd make a fortune! 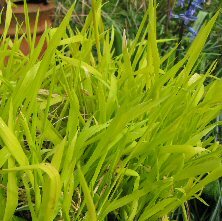 Great arching stems with bright yellow leaves. Brightest gold in full sun, nevertheless it brightens up a shady place. Even in the winter when you have the bare white stems arching architecturally. 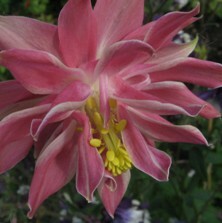 I send out bare-rooted Aquilegia plants Nov-March and mid-June/July. 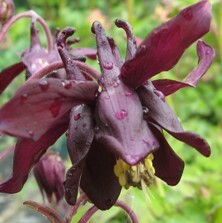 NOTE, I am no longer selling any aquilegia plants as there is downy mildew here at Touchwood. 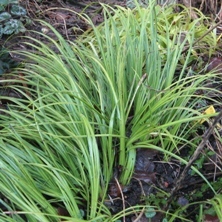 In winter they are 1 year old seedlings (ready to flower the next season), or 2 year old, already flowered plants. 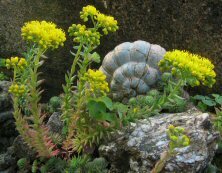 Prices depend on the size of the plant, whether it has already flowered, and its rarity and desirability eg a £3 blue, already-flowered plant will be far, far larger than a tiddly red-and yellow unflowered seedling at the same price. I have some 'pot luck' lost-label plants! 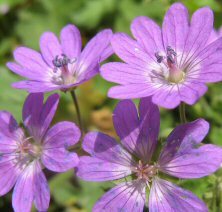 Or self-sown seedlings. They are £1.50 each. 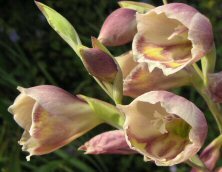 Note, the flowers may differ to the photos, they are given for guidance only. For example the colour shades vary and also the type of doubling. Hopefully these give you a close flavour of what to expect from my descriptions. 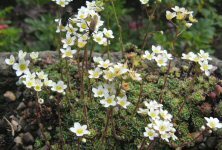 Also ring me from June to see what I have that has finished flowering and I can cut it back and bare-root it to send at that time. Even better…visit Touchwood when they are flowering and choose what you want! Please email me with your phone number, or ring me, listing your preferred colours and types, and I will let you know availability and price-ranges. Prices £1-£5.50 each depending on size and desirability of plant. I just thought I'd drop you a line and express my sincere thanks for your time, courtesy and great products! I received them today, excellently wrapped, obviously taken good care of at 'your end' and they arrived in superb condition. Your voucher was very welcomed (and will indeed be used!) and so too were the instructions. 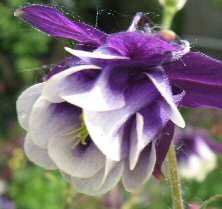 Regards, Stella All plants beautifully growing, they have established in their pots very quickly, obviously from good stock, and the Aquilegia seeds are up, a very successful buy!! E-mail me or ring me on 01792 522443 I will check availability before you pay, by cheque or by card via the secure Paypal site. I promise to lift, bare-root, and pack everything one afternoon, and post them first class so that you should receive it the next morning. You must promise to pot up that morning…and let me know any days you WON'T be available to receive the postal packet. Is there anywhere in particular the postman should leave the parcel if you're not there? With less than 24 hours out of their pots, the plants shouldn't even feel it! Everything comes either from my cold (unheated) greenhouse, or outside. Very occasionally I may need to substitute plants if what you ordered isn't found (!). I will phone you if you give your telephone number, and you are in, otherwise I reserve the right to send what I consider to be suitable substitutes (rather than the rest of your order being delayed in its bare-rooted state). Please make cheques payable to Touchwood, with your name and address on the back, and any message for the postman if you're not in.